Nueva Creación de Dios Mission: to promote spiritual, psychological, social, intellectual and physical wellness and development. In 2002, Ofelia Neri, a lay consecrated woman, lived a year dedicated to prayer. Day after day, she eagerly shared her reflections with her sister Elva Neri. After listening to her spiritual experiences, Elva asked Ofelia to organize a retreat for herself and other women. In October 2002, the first retreat was held at the Provincial House of the Religious of the Sacred Heart of Mary in Montebello. Satisfied and content, the retreat participants inquired about the next retreat. Bewildered and pleased, Ofelia stated, “if you’d like, we can meet next month.” And that was the beginning of the monthly conferences geared to “create a space” to pray and reflect. Initially, the monthly conferences were focused on meeting the needs of single, separated, divorced and widowed women. But married women insisted on participating at the events so the leadership team decided to allow them to participate. The retreats and conferences take place from September to May at Our Lady of Miraculous Medal, Montebello and at the Provincial House of the Religious of the Sacred Heart of Mary, Montebello. In May 2007, the ministry organized the first annual Breakfast Conference (Desayuno Conferencia). Funds are allotted to cover costs of monthly conferences to maintain low entrance fees for attendees. In August 2010, Ofelia began to facilitate vocation discernment retreats and spiritual direction groups to “create a space” for women to discern their vocation to live as a light of Christ in the word. 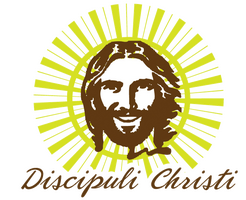 Women ages 18 thru 45 are invited to discern their call and consecrate their life as Discipuli Christi (Disciples of Christ). In February 2014, the first annual Tea Party fundraising event was sold out in two weeks. Due to popular demand, a second Tea Party was scheduled for November 2014 at Our Lady of the Miraculous Medal. Each year, the Tea Party is held the second Saturday of February at Our Lady of the Miraculous Medal Church in Montebello. Bring your tea hat and a friend to enjoy this motivating event for women. In June 2014, Ofelia, MFTI, and Denise Navarro, MFTI under the supervision of Dr Elaine Kindle, LCSW initiated Faith-Based Counseling services at Saint Rose of Lima Church office in Maywood. The following year they extended the services to Pico Rivera. Nueva Creación de Dios is a 501c3 and Faith Based Counseling is provided on a sliding fee scale. Funds generated from the Tea Party help to maintain low fees for low income clients seeking counseling services and free sessions to clients in dire need. Donations are welcome. In December 2017, Nueva Creación de Dios donated $1,500 dollars for the Ofelia Neri Scholarship Fund. Three scholarships of $500 dollars were granted to applicants from Mount Saint Mary’s University. Scholarships are open to students with financial need. Donations are welcome to continue providing scholarships.